The Indonesian Government has suspended imports of Indian buffalo meat in the wake of a significant ruling by the nation’s Constitutional Court yesterday. However, Indonesian cattle import industry have warned that the court’s decision appears ambiguous and is still open to interpretation, so it is not yet clear if the suspension will stand. As has been documented by Beef Central in recent weeks, Indonesia’s decision to allow imports of frozen buffalo meat from India has resulted in a flood of lower-priced and lower-quality product entering the country, significantly impacting demand for Australian live cattle and boxed beef exports. Local Indonesian cattle breeders and veterinarians were also extremely unhappy with the Government’s moves to allow the import of meat and cattle from countries that are not declared free of foot-and-mouth disease (FMD) but have zones free of the disease. Cattle producers, dairy product sellers and veterinarians petitioned the Constitutional Court to overturn the law, saying it was hurting the local cattle breeding industry. After reviewing the relevant laws the Court rejected the petition, but emphasised that imports of meat and live cattle were allowed only if they were in line with principles of prudence and maximum security to avoid FMD. Such imports were also only carried out in emergency when Indonesia experienced shortages in the domestic beef supply, the Court ruled. The Court said that despite the law requiring import conditions that involved maximum security, such tough requirements could not fully eliminate the risk of FMD. The future of Indian buffalo meat imports to Indonesia how hinges on how the Indonesian Government and its various Ministries interpret that ruling. Indonesian media is reporting that a coordination meeting between the relevant ministries will now be called to interpret what constitutes an ‘emergency situation’ and to reach an agreement on the future of imports. While that is happening the Indonesian Government is reported to have made a precautionary move to suspend imports of buffalo meat. One of Indonesia’s main Bahasa language newspapers this morning carries a report stating that the Indonesian Government has suspended the import of buffalo meat from India following the Constitutional Court decision. For their part Indonesian cattle breeders believe the decision effectively results in a ban on buffalo meat imports from India, except in emergency situations, they told the Jakarta Post. 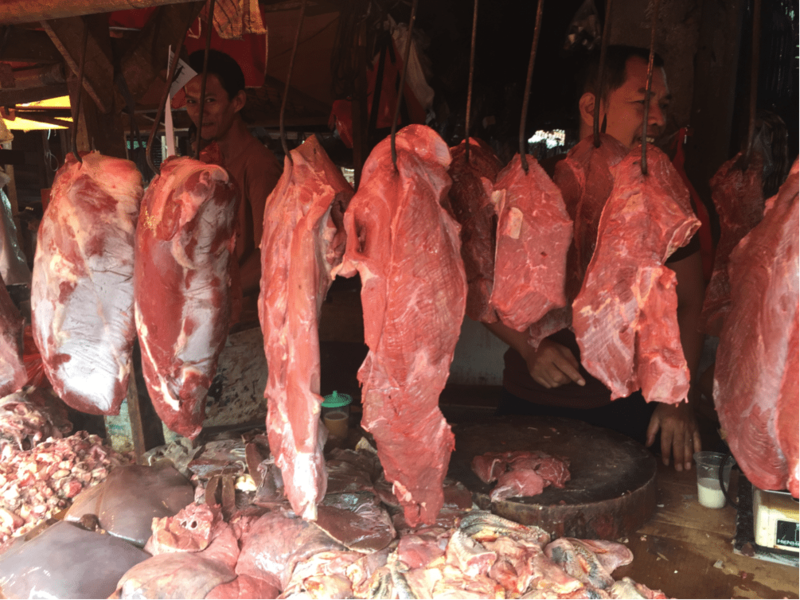 Cow and Buffalo Breeders Association (PPSKI) chairman Teguh Boediyana told the newspaper that meat purchased from countries prone to foot and mouth disease (FMD) could only happen during specific occurrences like natural disasters leading to beef shortages. “The government’s reason for allowing buffalo meat imports [from India] last year wasn’t because of a natural disaster, but merely high beef prices. As it was not triggered by an urgent situation, this means there must be no more [buffalo meat] imports [from India],” he said after the reading of the court’s decision. There is no clarity yet on how the Indonesian Ministries will interpret the decision. These include of course the same Ministries that approved the import of Indian buffalo meat in the first place, and some sources have suggested they may argue that beef is a basic food staple for Indonesia, and imports of Indian buffalo meat are needed to stave off further rises in staple food prices. Rising prices of staple foods such as wheat have caused riots in other countries such as Egypt, and therefore, they may argue, imports must continue to avert a state of emergency due to rising beef prices. One cattle import industry source said the suspension is being interpreted as good news at the moment, but the decision is ambiguous and “not too many are claiming a victory at this stage”. It does appear from the court decision however that the idea of introducing cattle from FMD free zones in countries affected by FMD and imported to quarantine islands in Indonesia has been ruled out, news which will come as a huge relief to Indonesian cattle farmers and lot feeders across the country. Good to see, making life difficult for their own farmers. Everything in Indonesia is open to interpretation depending on who will benefit the most. Guess the lobby group decided to use the FMD issue to wipe out carabeef imports from India.